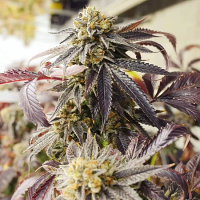 Orange N Mango Feminized Marijuana Seeds by Connoisseur Genetics Seeds: For this hybrid I took a 16 year old cut of the legendary Cali Orange that will really take you back. She produces great yields of that old school skunky orange funk, I then went to work reversing my special Silver Nevil cut that is a dream Haze of minimal stretch and quick flower time to create one commercial dream. The Orange N Mango produces so much fruity taste she will be the first jar to be empty. 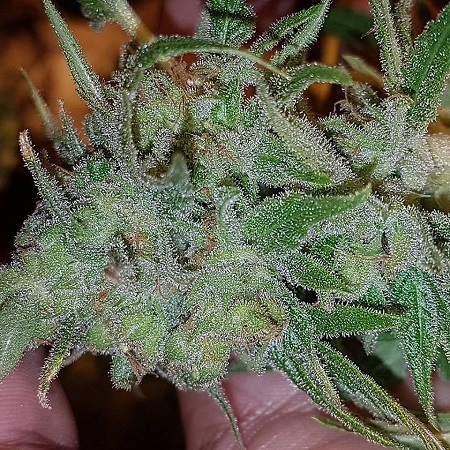 She flowers in a lovely 9 weeks with a great yield potency is great mix of indica and sativa leaving you sitting happy with a grin on your face.